Since no one else will admit to it, why not dedicate a whole show to it? Josh Lesnick joins Fes, Tanya and Aaron as we discuss quality adult webcomics! 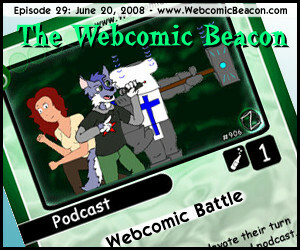 Remember that most of the webcomics we talk about on this show are for people 18 years or older. Mark Savary finds needs a drink after reviewing Lunar Antics, and we set our Beacon Searchlight on Toy Division! Plus the Strip Fight.org Weekly Ringside Update! Notes: Sites mentioned this week: Cute Wendy, Girly, Slip Shine, Doctor Voluptua, Adult Webcomics, Lucy Luv Bottom, Fiona’s Time Machine, Elle and All The Others, Fur After Dark, Club Stripes, Sabrina Online, Badly Drawn Kitties, Realitease, The Challenges of Zona, Anders Loves Maria, White Lightning Productions, Magnificient Milkmaid, Crimson Latex, Changes, Momo Impact, Moon Over June, Dragon Fest, Anathema, Cheezy World, Linburger, Zamora Theater, and the rest of the comics on Slip Shine! Also Evil Inc, Ardra, WAGON Webcomic Battle, and don’t forget the “Draw” to Win Contest! in conjunction with The Shifter Archive! Michael Dellheim of WAGON Webcomic Battle joins Fes, Tanya and Aaron and we talk about a new Trading Card Game based on webcomics! Mark Savary reviews One Small Step, plus we have the Strip Fight.org Weekly Ringside Update! Later in the show we also discuss a reinvention of the Brainstorms, where we will help existing webcomickers with their comics. 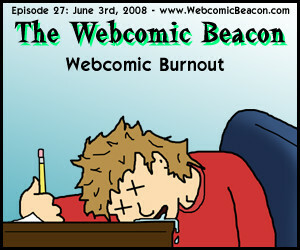 Plus we bring back the webcomic Impressions in a whole new way! The Webcomic Searchlight! We start this thing of this week with Imy the Comic, Blip, and One Small Step! Milestones reported this week: 8-Bit Theater hits 1000 strips, The 10 Doctors hist 100 strips, Hookie Dookie Panic hist 3 years and also finishes, Out There hits 2 years, and Metrophor has turns 2! Sites mentioned this week: Point Guardian, Mind Mistress, Also keep an eye on The Shifter Archive for a special Jenny Everywhere contest to win a place on one of 3 new cards for the WAGON Webcomic Battle and decks! Tanya and Aaron are on their own for the topic this week. 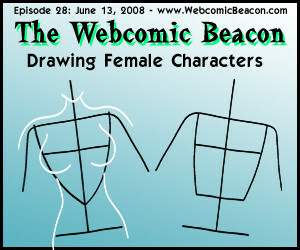 They discuss drawing female characters! Certainly a challenge as it is not as simple as drawing bumps on a couple of straight lines. Really… It’s not. Due to a crazy weekend, Mark Savary and Brett Hainley don’t have contributions ready for this show, but we do have the Strip Fight.org Weekly Ringside Update! Milestones reported this week: School Spirit hits 4 years! Fes and Aaron are joined by Mark Savary and Rob Powel of Steam Pirates, to talk about creativity burnout and writer’s block in the webcartooning world. Also Tanya shows up, eventually. Just a short show due to technical difficulties and that Fes is leaving for the ComicGenesis Cookout! Mark Savary also reviews M for Mature Comics, as well as, Friendly Fire: On! Also, Brett Hailey returns with his own Casual Ramblings! Plus the Strip Fight.org Weekly Ringside Update! Milestones reported this week: Planet Saturday Comics hits 2 years! Notes: Sites mentioned this week: Last Place Champs, The Mysterious Miss BunBun, including call-ins from Jazz and Jess, and Introspective Comics! (also see Comments since I may have missed them… or ran out of time to do them).